Berlin is a constantly evolving and dynamic capital city, with design at the forefront of change, be it high tech, cutting edge, cultural, artistic or experimental. This design DNA was officially recognised in 2006, when the German capital was officially designated a UNESCO City of Design, the first in the country to be included in the Creative Cities Network organised by UNESCO. The organisation described the city as “a true centre for the creative industries for both amateur and established creators alike. Berlin has demonstrated remarkable social, economic and cultural achievements in the field of design”. The design-centric discoveries and experiences that await are as vast as the city itself. 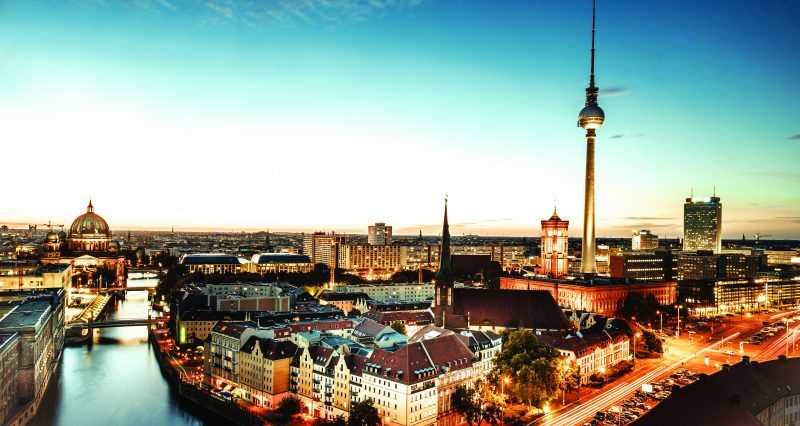 From top hotels to renovated industrial buildings teaming with creative offerings, from its museums and galleries, to its distinct neighbourhoods, Berlin is a city of design. Berlin has an extensive number of museums and art galleries, from classic to contemporary, with offerings for all interests. For five museums in one location, go to Museum Island – an island in the middle of the Spree River in the central Mitte district, with each internationally renowned museum its own distinct focus. The buildings themselves are important architecturally and are collectively on the UNESCO list of World Heritage Sites. There is also Niche Berlin, which conducts personalised architecture and art tours off the beaten path, exploring hard-to-find innovate architecture and experimental, emerging art spaces. Each of the 12 districts has an individual feel and attractions, with these two falling into the must-explore category. Known as Berlin’s beating heart is Mitte – home to a staggering number of heritage sites, iconic landmarks, museums and memorials. It is also an area of contrasts, with high-end shopping and flea markets, dining at all price points including Michelin-starred restaurants, swish cafes and eco fair trade coffee joints, and an extensive number and diverse range of art galleries. There is a constant stream of events taking place throughout the year, including Berlin Graphic Days in January 2016, held twice a year with works from around 60 graphic artists, illustrators, street artists and screen printers, with many original items for sale.